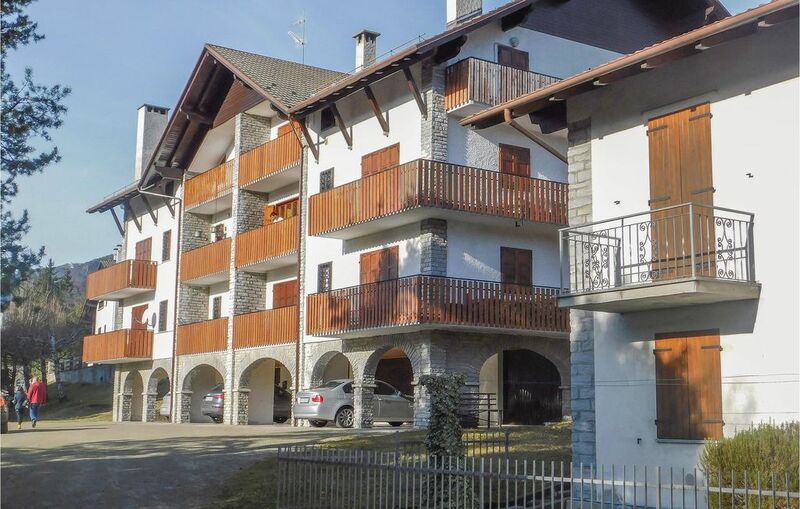 Holiday apartment in Craveggia, 2.4 km from Piana di Vigezzo - Craveggia / Santa Maria Maggiore. It is one of the most picturesque villages of Val Vigezzo and is famous for its countless stone fireplaces that rise above the rooftops of houses. In the past the high chimneys were considered a symbol of wealth of the local rich families who were competing in building the most impressive ones. Possibility of trekking, skiing, cross-country skiing, golf, swimming pool. The accommodation is located 32 km from Maggiore Lake - Locarno. Possibility of excursions from Maggiore Lake till the neighboring Switzerland through the Vigezzina-Centovalli Railway, which runs along a mountain route over a total length of over 52 km, among woods, pastures and mountain villages, in an enchanting environment and landscape. Lake Maggiore offers countless boat trips: the Borromean Islands, the fortress of Angera and all the small villages linked to the shore of Maggiore Lake.